CD reviews: "Thanksgiving," "A Winter Solstice Reunion," "The Colors of Christmas," "Celtic Christmas IV," "A Jazz Christmas," "Charlie Brown's Holiday Hits" and "12 Songs of Christmas"
These reviews first appeared in the December 12 edition of the American Reporter. No company does up the holidays like Windham Hill. 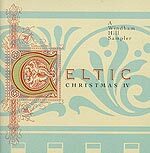 With a couple different ongoing Christmas series (Celtic, Solstice) and something new every year, Windham Hill is the easy-listening soundtrack for the season. This year, something new, even for them: Thanksgiving. And what the heck, why not? I mean, the Christmas decorations are up at the mall by Thanksgiving, why not start cashing in? The up side is that this is a nice little collection of tunes that, if not associated with Thanksgiving (and what songs are? ), are thematically coherent: "We Gather Together" (familiar to any post-Vatican Catholics who regularly attended Saturday evening folk Mass in the '60s and '70s), "Coming Home, "Simple Gifts" ("The Shaker Song"), "Amazing Grace." The artists are also familiar: John Sebastian, George Winston, R. Carlos Nakai, Paul Winter, Lisa Lynne. True to Windham Hill's "new age" philosophy, everything here is pretty mellow. Sometimes, they go overboard  for instance, someone needs to explain to Tracy and Thea Silverman the difference between mellow and comatose. But as she nearly always does, Liz Story defies the "new age" label and shows herself as a classic landscape artist who works with keys instead of brushes. Her solo piano composition "Blessings" truly is appropriately titled. 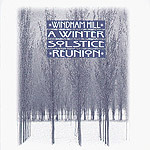 The latest installment in the "Winter's Solstice" series also contains a cast of the usual Windham Hill characters: William Ackerman and Alex DeGrassi and Mike Marshall and Liz Story again. This release is more Christmasy than the Thanksgiving album, of course, but they are otherwise very similar. Outside Liz Story's usual grace and elegance on solo piano, the only other track of note is Tuck and Patti's new holiday song, "Christmas Wish." "The Colors of Christmas" is a throwback to the all-star Christmas LPs of the '60s and '70s. Instead of Andy Williams and Julie Andrews, in the '90s we get Jeffry Osborne and Melissa Manchester. Peabo Bryson delivers and almost perfect rendition of Johnny Mathis' hit version of "It's the Most Wonderful Time of the Year," and also turns a nice cover of "Born on Christmas Day." And Oleta Adams' deep, rich voice finds yet new nuance and hidden niches in that old warhorse, "The Christmas Song (Chestnuts Roasting On an Open Fire)." It is, of course, always nice to hear Roberta Flack and Philip Bailey (he of Earth Wind & Fire fame) still working ... guess that's how our parents felt about Andy Williams 20 years ago. 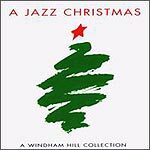 Windham Hill's "A Jazz Christmas" surprisingly contains more jazz than you might expect. Oh, sure, much of it is "contemporary jazz" (i.e., non-improvised jazz-sounding instrumental pop) by lightweights such as Jim Brickman and Earl Klugh. But there are also nice covers by Larry Coryell ("Deck the Halls"), Paul Horn ("Oh Little Town of Bethlehem"), Lani Hall and Etta James. If it's real jazz you want, though, check out a new collection of Vince Guaraldi's music from the various "Peanuts" holiday specials. While not all the songs are necessarily holiday-related, enough are ("Thanksgiving Theme," "Great Pumpkin Waltz," "Christmas Time is Here") to keep the spirit flowing. And even the others still have a timeless grace about them perfect for the holiday season. Not since Alligator Records coaxed Koko Taylor into the studio for a cover of "Merry, Merry Christmas" six years back have we heard holiday songs performed with the power and exuberance of Etta James' new set. Performing an even dozen holiday classics (a thirteenth can be heard on the above-mentioned "A Jazz Christmas"), James lends new lungpower and a blue tint to old faves like "Jingle Bells," "Joy to the World," "The Little Drummer Boy" and "White Christmas." Good stuff, all, and a nice break from the muzak that clutters the airwaves this time of year.